"Bulk handling is not rocket science - it's harder." 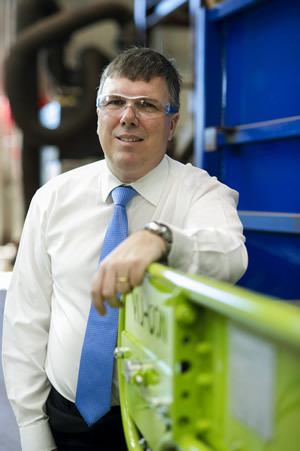 It is a big claim, but the Director of TUNRA Bulk Solids and the Head of the School of Engineering at the University of Newcastle, Professor Mark Jones, deals in big business and big products. With a global reputation as an authority on pneumatic conveying and bulk solids handling, Jones leads a team of 36 staff at TUNRA that have delivered more than 3,500 bulk solids handling projects for over 1,000 companies across 40 countries. "The handling of materials can be a very, very significant proportion of costs and the University of Newcastle and TUNRA has saved millions of dollars for many national and international companies through rigorous contract research leading to significant improvements to production," Professor Jones said. "Bulk materials handling deals with a number of varying factors that make it an extremely specialised field. The research undertaken is multidisciplinary in nature and spans a wide range of engineering and scientific topics," he said. "It's an incredibly diverse field requiring expert knowledge in many aspects of mechanical engineering from fluid mechanics to vibrations. The interaction of a bulk material with the environment, in particular effects of moisture content, temperature and loading conditions, have a profound effect on the way a material behaves. These interactions have a massive effect on the performance of bulk handling systems and equipment. "In fact one of our PhD students, who actually did his masters in rocket science, said he found bulk handling harder due to the complexities and wide expertise required." Within the next six months, TUNRA is on schedule to develop a multi-million prototype for a new belt conveyor that is expected to cut energy consumption by half and potentially convey over double the distance of the current largest conveyor in the world in a single stage, resulting in huge cost savings. Located at the University's Newcastle Institute of Energy and Resources (NIER), TUNRA's independent testing facilities has set the world standard for belt conveying with companies around the world sending their products for validation and improvement. TUNRA is also currently researching safe transportable moisture limits for bulk cargo on ships, the outputs of which could potentially help set the world standard and guidelines through the International Maritime Organisation. Another project that Jones has in the pipeline, is a software tool and algorithm combination that predicts the lifetime of pipelines. "TUNRA is a very unique animal and I don't know of another entity like it in the world. On one level, it's a commercial company that provides contract research and development and professional consulting. On another level, it is not-for-profit so all proceeds go straight back into research, hiring post doctorates, supporting students and building infrastructure. 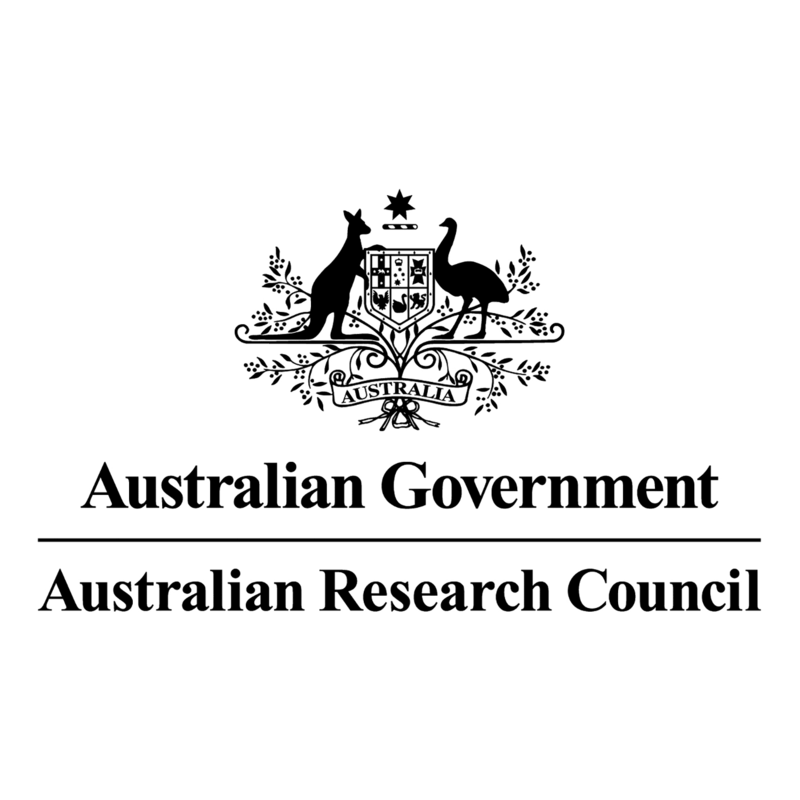 "Within the one research group, our work ranges from fundamental and applied research through to industry practice and professional development programs." Under Professor Jones' guidance, TUNRA's turnover has risen from less than a million dollars in 2005 to $4.7 million in 2012. Crucially, Jones credits much of TUNRA's success to the fact that the researchers are so closely linked with industry. "TUNRA works very closely with industry so we actually see what the real problems are and the research we undertake is all directed to solving or minimising the problems that industry face." With over 30 years' experience in the field and as President of the International Freight Pipeline Society, Professor Jones' is in-demand as a speaker and is set to present to conferences and courses in South Africa, UK, United States of America, India and China in the coming six months. Professor Mark Jones is Director of the Centre for Bulk Solids and Particulate Technologies and has extensive experience in pneumatic conveying and industrial bulk solids handling. For 11 years prior to arriving in Australia he worked within the Centre for Industrial Bulk Solids Handling in the Department of Physical Sciences at Glasgow Caledonian University, UK. In this role he was the Lead Investigator in a number of large-scale research projects funded by the European Coal and Steel Community (ECSC), the Department of Trade and Industry and major companies such as BP (UK), Aluminium Pechiney (France) and Alcoa (USA). His largest project as Chief Investigator was funded by the ECSC and was undertaken in collaboration with the Coal Research Establishment in the UK. This project was funded to a value of $1.2million. Since arriving in Australia (1999), he has had many successful outcomes from several ARC funded research projects. These include; " An ARC Large Grant on plug formation mechanics in dense pneumatic conveying. " A SPIRT Grant on pressure drop prediction for pressurised pneumatic conveying systems. " An ARC Linkage Grant on the development of design and optimisation tools for bulk material storage systems. " An ARC Linkage Grant on specific issues in the development of high speed belt conveyors. " An ARC Discovery Project investigating handling issues and mechanical behaviour of stringy/compressible materials. His principal contributions are in the areas of pneumatic conveying and characterisation, however he has contributed a significant amount of work in a wide range of areas within bulk materials handling. His major contributions include; " Developing modelling techniques for fluidised dense phase pneumatic conveying. " Establishing theory on the mechanics of dense phase slug-flow pneumatic conveying. " Intelligent control systems for pneumatic conveying systems. " Pioneering work in dense phase hydraulic conveying in the energy generation industry. " Unravelling segregation mechanisms in the handling of blended materials. " Developing characterisation techniques for bulk solids handling applications. 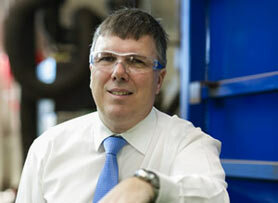 Professor Mark Jones has extensive teaching experience at undergraduate, postgraduate and professional levels. He currently teaches Mechanics of Bulk Solids and Particulates to undergraduates on the Mechanical Engineering Program and Bulk Material Handling and Transportation as an elective accross the School. He has prviously been the Academic Leader for a Master's Degree in Bulk Solids Handling and regularly presents Continuing Professional Development courses to practicing engineers, both in Australia and overseas. Pneumatic conveying; material characterisation; fluidisation and de-aeration (particularly in relation to prediction of pneumatic conveying performance); gravity flow of solids; mixing and de-mixing of solids. General area of bulk solids handling. © 2015 Elsevier B.V. Solids friction factor is a parameter required for predicting the pressure drop in a process of pneumatic conveying. It depends upon a number of non-dimensional parameters. In this paper, experimental data for a 2. m long section of a 173. m long pipeline has been used to develop a mathematical model for solids friction factor. The model predicts the pressure drop with a low error margin for the 2. m long pipeline. Although the model has been developed for a 2. m long straight pipeline with fly ash as the conveying material, it has also been scaled-up for a 173. m long straight pipeline. By scaling-up, the predicted pressure drop lies within an acceptable error margin. Since the model seems to be having less dependence upon the parameter of particle density, it predicts the pressure drop with less error margin for the experimental data of other conveying materials such as alumina and cement. The model shows high error in predicting pressure drop for the experimental data for a different pipeline configuration. Two methods were developed to investigate the porosity of moving slugs in situ during horizontal slug flow pneumatic conveying. The first method consists in applying a permeability model in combination with measurements of pressure loss and fluid velocity along the slugs. A review of existing models describing the resistance of porous structures to fluid flow revealed that the semi-empirical model of Ergun is particularly suitable to investigate the porosity profile along moving slugs. The second method consists in a direct determination method involving a slug-catcher able to catch a moving slug in a fraction of a second and simultaneously separate it into three horizontal layers. Those two methods were applied to analyse the porosity of naturally occurring slugs during pneumatic transport of polypropylene pellets. It was found that in contrast to common belief, slugs are slightly fluidised structures that do not display any porosity gradient over the pipe cross-section height. The slug porosity appeared independent of the gas conveying velocity, all slugs displaying an average porosity around 0.41, which is slightly higher than the bulk porosity of 0.38. Most of the slugs displayed a rear that is denser than the front. However, some slugs had a front that is denser than the rear while other slugs displayed a relatively constant porosity over the entire length. Those unique results refuting the commonly used hypothesis that slugs are compact structures give a new incentive to the area of slug flow pneumatic conveying. While bulk solids mechanics can no longer be applied to explain the stresses induced by moving slugs, the validity of other theories that imply that slugs are fluidised structures should be investigated. © 2013 Elsevier B.V. This paper presents the results of experimental investigations aimed at the determination of the loads exerted on support structures buried in gravity reclaim stockpiles. Structures, such as trestle legs to support load-out conveyors in open stockpiles, or columns to support roof structures and load-out conveyors of enclosed bulk solids storage sheds are subject to the loads exerted by the surrounding bulk solids. The complexity of these loads has been discussed recently (Roberts, 2007 , Katterfeld and Roberts, 2009 ). According to the theoretical approach proposed by Roberts, both active and passive stress states in bulk solids contribute considerably to the pressure distributions on these support columns. The findings of the preliminary experimental studies carried out by Roberts match with the theoretical predictions. However, follow-up work is required to further validate and improve the design equations for the determination of the loads on support columns. Based on Roberts&apos; prediction model, a laboratory scale test rig was constructed to measure the loads on both the front and rear faces of a buried column. Tekscan tactile pressure sensors were employed in the pressure measurements. Stockpile tests under three different conditions were investigated, and the measured results correlate well with theoretical predictions from modified Roberts&apos; theory. The outcome confirms that Roberts&apos; theory can contribute to the design criterion regarding the loads on buried structures in stockpiles. © 2014 Elsevier B.V.
Moving slugs of plastic pellets were investigated in-situ during low velocity pneumatic conveying in horizontal pipelines. Slug characteristics including the profile of pressure, pressure gradient, particle velocity, porosity, radial and wall shear stresses, aspect and behaviour were combined to obtain a complete picture of moving slugs. The objective was to gain unique knowledge on the physical mechanisms involved in slug formation, transport, and decay and the occurrence of pipe blockage. Slugs in both stable and unstable states were analysed. A strong correlation between particle velocity and wall stresses was found, which suggests that the stresses responsible for the high pressure loss characterising slug flow may result mostly from the transfer of particle impulses to the pipe wall. Most slugs were found to be denser at the rear where particle velocity was the highest, thus leading to slug shortening over time. This phenomenon was successfully modelled using both Newton&apos;s 2nd law and the ideal gas law and prediction of particle velocity showed good agreement with experimental values. In contrast, other slugs were found to extend due to the particles at the front moving faster than the particles at the rear. Pipe blockage was found to result from insufficient permeation of the slug by the conveying gas, indicating that sufficient material permeability is a condition for slug flow to occur. © 2014 Elsevier B.V.
Two commercially available tungsten carbide-based, Ni alloy binder plasma-transferred arc-welded (PTAW) overlays, which had both previously exhibited excellent resistance to slurry erosion (in substantially non-corrosive conditions) and abrasion, were assessed in a more corrosive slurry erosion environment. One overlay consisted of a 50 vol% mixture of crushed eutectic (WC/W2C), spherical eutectic, and tungsten monocarbide (WC) particles in a NiBSi matrix, while the other contained 50 vol% WC in a NiCrBSi matrix. Initial microstructural examination of the mixed carbide/NiBSi overlay confirmed that substantial dissolution/degradation of the spherical eutectic and crushed eutectic carbides had occurred as a consequence of interaction with its matrix alloy constituent at the high temperatures encountered during arc deposition. Conversely, the WC-based overlay exhibited very limited carbide dissolution or degradation. The total erosion-corrosion (E-C) rate, as well as its separate components, namely, erosion, corrosion, and synergy, was established using a novel slurry pot erosion-corrosion (SPEC) tester. The E-C rate for the WC/NiCrBSi overlay was approximately four times less than the E-C rate for the mixed carbide/NiBSi overlay, which performed comparatively poorly. The mixed carbide/NiBSi overlay displayed a very large synergistic value, which accounted for 90% of the total erosion-corrosion rate, with the WC/ NiCrBSi showing a synergy level accounting for 50% of the total E-C rate. To establish and compare the damage mechanisms affecting both overlays, a novel technique was implemented where specific regions were examined using scanning electron microscopy (SEM) before and after SPEC testing. This procedure was applied to identify any preferential attack that was occurring and to elucidate the reasons for the significantly different E-C performance of the two products. The main reasons for the inferior performance of the mixed carbide/ NiBSi overlay were found to be caused by the attack of the non-Cr bearing matrix and preferential removal of the W/Ni-rich boundary layer and eta-carbides, formed around the eutectic carbides during deposition. © 2012, NACE International. WC/Ni-based plasma transfer arc welded (PTAW) overlays are frequently used in the oil sands industry for applications requiring extremely high wear resistance.These overlays usually consist of a dense distribution of either tungsten monocarbide (WC) or cast tungsten carbides (WC/W2C) in a NiBSi or NiCrBSi matrix.A previous erosion-corrosion (E-C) study of cast tungsten carbide/NiBSi-based PTAW overlays not only highlighted the expected preferential E-C attack of the non Cr-bearing matrix but also the significantly greater effect that carbide dissolution of the cast tungsten carbides had on the overall E-C performance of the overlay.It is recognised that cast tungsten carbide particles are more susceptible to dissolution during deposition than WC. As a result, a new process that modifies the outer periphery of cast tungsten carbides by producing a tungsten monocarbide shell has been developed. Overlays consisting of these carbides in a NiBSi binder were subsequently produced with the aim of reducing the extent of dissolution during deposition.The aims of this study were (i) to assess the effectiveness of the tungsten monocarbide outer shell of cast tungsten carbides to resist dissolution during the PTAW deposition process; and (ii) to highlight any improvements in the E-C properties using a novel slurry pot erosion corrosion (SPEC) tester, which incorporates a three-electrode cell to enable the separate components of erosion, corrosion and synergy, to be established. Results were compared with a commercially available NiBSi PTAW overlay containing unmodified cast tungsten carbides. © 2011. The erosion-corrosion properties of a range of ferrous-based materials that are currently being used or have potential for use in the resources industry have been assessed using a slurry pot erosion-corrosion (SPEC) test rig that has the capability of establishing the separate components of erosion, corrosion and synergy. Testing was performed, at 30 °C, in an aqueous slurry containing 35 wt% AFS 50-70 silica sand and a 3.5 wt% NaCl solution. Erosive action was supplied through high-speed rotation of a rubber-lined impeller. Erosion-corrosion performance of materials evaluated was related to composition/microstructure and hardness. Test data correlated with available service experience. The results showed that the cast Cr white irons with (i) a structure that was essentially a duplex stainless steel containing a distribution of hard carbides and (ii) a near eutectic Cr white iron exhibited the highest erosion-corrosion resistance of the materials tested. The evaluation of the Cr white irons also highlighted the influence of Cr and C levels on the E-C properties of these materials. E-C assessment of selected carbon steels confirmed that the erosion-only rates and synergistic levels showed a general decline with increasing carbon content and hardness. As expected, a low C steel pipe product displayed very mediocre erosion-corrosion behaviour as a consequence of its very low intrinsic corrosion resistance and inferior wear properties. This reflected service experience, however, such products are still being used, due to the comparatively low initial cost. A TiC particle-reinforced AISI 316 stainless steel exhibited an almost 45% improvement in the E-C resistance, when compared with an AISI 316L stainless steel. Crown Copyright © 2009. Pneumatic conveying characteristics for 4 different materials such as fly ash, sand, cement and crushed bath have been established by testing in a low pressure pneumatic conveying test rig at Regional Research Laboratory, Bhubaneswar. The test rig consists of a low pressure (1 barg) roots blower (140 cfm (4 m 3 /min), 10 HP), 1.5 m 3 top discharge blow tank, 54 m long, 53 mm ID, pipeline with 7 bends and a hopper. From the conveying characteristics it has been shown that fly ash (150 µm), sand (175 µm), cement and crushed bath (3 mm) can be conveyed successfully with maximum mass product flow rate of 4.2 t/h, 1.8 t/h, 4.1 t/h and 1.5 t/h at phase density of 25, 20, 30 and 9 and at air mass flow rates of 0.047 kg/s, 0.033 kg/s, 0.038 kg/s and 0.045 kg/s, respectively, at 1.0 bar conveying line pressure drop except crushed bath which is of the order of 0.7 bar conveying line pressure drop with ambient air temperature of 25 °C. With the minimum conveying air velocity of 16 m/s, 6.5 m/s, 6.5 m/s and 16 m/s for fly ash, sand, cement and crushed bath the mass product flow rate from conveying characteristics are found to be 2.8 t/h, 0.6 t/h, 1.3 t/h and 1 t/h at phase density of 20, 10, 20 and 7 with conveying line pressure drop of 0.6 bar, 0.4 bar, 0.5 bar and 0.5 bar respectively. The two most common methods of blending industrial coals is either by use of feeder belts discharging onto a central conveyor belt, or by a compartment hopper discharging onto a common belt. These two methodologies are shown to give very similar levels of variance in the proportioning of component coals, over a wide range of discharge conditions. Very high levels of segregation can be expected in almost any heap formed when coal material is discharged from the belt in either of the two blending method. Some bench scale tests allowing the assessment of the permeability, the air retention characteristics and the cohesion of powders have been refined in order to correlate with their pneumatic conveying behaviour. An emphasis has been placed on powders used by steel-makers. The paper contains an investigation into the performance of a suction nozzle in vacuum pneumatic conveying system, with particular reference to the particle pick-up zone and the relative positions of inner tube inside the outer coaxial tube. The effect of change in geometry of the nozzle on the performance of the system was studied. The primary expertise of this Center is in pneumatic conveying and associated technologies. The range of activities ahs been expanded significantly over the last several years, and includes for instance the characterization of bulk solids, flow of solids in hoppers and silos, wear, degradation and moisture problems with bulk solid plant, instrumentation and control of solids. The work reported present a direct comparison between top and bottom discharge performance in terms of feeding capability for given constant conditions. The work was carried out on a pilot scale facility using a blow tank that could be arranged in both top and bottom discharge configuration with minimum changes in pipeline geometry. Blow tank characteristics are presented for pulverised fuel ash (PFA) in both top and bottom discharge modes. Two commercially available tungsten carbide-based, Ni alloy binder PTAW overlays which had both previously exhibited excellent resistance to slurry erosion (in substantially non-corrosive conditions) and abrasion were assessed in a more corrosive wear slurry environment. One overlay consisted of a 50 vol.% mixture of crushed eutectic (WC/W2C), spherical eutectic and macrocrystalline WC particles in a NiBFeSi matrix, whilst the other contained 50 vol.% macrocrystalline WC in a NiCrBSi matrix. Initial microstructural examination of the mixed carbide/NiBSi overlay, confirmed that substantial dissolution/ degradation of the spherical eutectic and crushed eutectic carbides had occurred as a consequence of interaction with its matrix alloy constituent at the high temperatures encountered during arc deposition. Conversely, the macrocrystalline WC-based overlay exhibited very limited carbide dissolution or degradation. The total erosion-corrosion (E-C) rate, as well as the separate components of erosion, corrosion and synergy, was established using a novel Slurry Pot Erosion Corrosion (SPEC) tester. The E-C rate for the macro WC/NiCrBSi overlay was approximately four times less than the E-C rate for the mixed carbide/NiBSi overlay, which performed comparatively poorly. The mixed carbide/NiBSi overlay displayed a very large synergistic value, which accounted for 90% of the total erosion-corrosion (E-C) rate, with the macro WC/NiCrBSi showing a synergy level accounting for 50% of the total E-C rate. To establish and compare the damage mechanisms affecting both overlays, a novel technique was implemented where specific regions were examined using a Scanning Electron Microscope (SEM) before and after SPEC testing. This procedure was applied to determine any preferential attack that was occurring and to elucidate the reasons for the significantly different E-C performance of the two products. The main reasons for the inferior performance of the mixed carbide/NiBSi overlay were found to be due to attack of the non-Cr bearing matrix and preferential removal of the W/Ni-rich boundary layer and eta-carbides, formed around the eutectic carbides during deposition. Two approaches are being utilized to assess a range of materials for service in erosion-corrosion (E-C) conditions that occur during processing and transportation of aqueous slurries in oil sands operation. These are (1) using a custom-built slurry pot erosion-corrosion (SPEC) evaluation system and (2) compiling E-C maps using data from separate slurry erosion and static corrosion tests. Using slurries containing 3.5wt% NaCl so ution and 20wt% silica sand, the SPEC system confirmed that bi-metallic high Cr steel pipe product and WC/Stellite 21 PTAW overlay have provided the highest erosion-corrosion resistance of materials tested to date. The E-C maps confirmed that Stellite Co-based alloys exhibited the superior corrosion resistance whilst WC-based overlays produced the best erosion resistance of the material classes evaluated. Despite having certain limitations, both approaches provide satisfactory means of assessing materials in erosion-corrosion environments. Test conditions for both systems can be tailored to simulate particular industrial operations. Blow tank systems are widely used in industry for the pneumatic conveying of bulk materials. This is because of the ease of control and the fact that, as there are no moving parts, erosion and degradation are minimised. Both top and bottom discharge configurations are used in industry but the choice of configuration is largely based on convenience rather than the merits of configuration performance. To date, very little information has been published regarding comparisons of blow tank performance in the top and bottom discharge modes. The work reported in this paper presents a direct comparison between top and bottom discharge performance in terms of feeding capability for given constant conditions. Funding body: GULF Conveyor Holdings Pty Ltd.
GULF Conveyor Holdings Pty Ltd.